Wellington, July 4, 2014 (Alochonaa): Perhaps one of the most surprising things about New Zealand’s ranking by the Social Progress Imperative is that it was achieved despite its ‘unique’ approach to civil liberties. Where many countries can trace their ‘Bill of Rights’ (or its equivalent) back to their country’s founding, the New Zealand Bill of Rights Act was signed only in 1990 (confusingly though, before this New Zealand made use of earlier documents such as the 1628 Petition of Right and 1689 English Bill of Rights after the 1931 Statute of Westminster was finally adopted in part in 1947 – New Zealand’s constitutional history often verges on the bizarre). On top of this, along with the United Kingdom, New Zealand is one of only two countries without a formal written constitution. The uncodified constitution is made up of the 1986 Constitution Act, The Treaty of Waitangi, common law and various court decisions and letters patent, none of which is entrenched law. This means that vital elements of New Zealand’s legislative framework (including the Bill of Rights Act and the Constitution Act) remain ordinary law, able to be overturned by a simple majority of parliament. 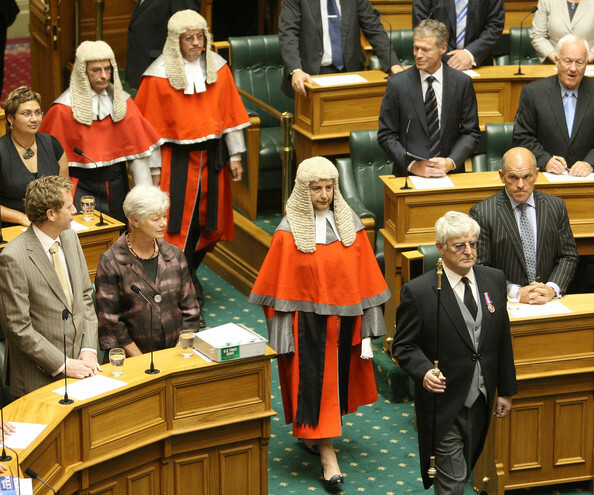 The mutability of New Zealand’s rights legislation is underscored by a political system almost idiosyncratically bereft of checks and balances. It has only a single house of parliament in its legislature, where most states have two, and that house maintains parliamentary sovereignty (that is, the courts cannot challenge the legitimacy of laws). Furthermore it has a head of state who, thanks to convention, is at best ceremonial (the last time a Governor-General attempted to exercise the full extent of their powers, it resulted in the 1975 Australian Constitutional Crisis). This means that New Zealand’s House of Representatives is particularly powerful: when it passes a bill, it effectively becomes law. Such a lack of checks on governmental power makes it able to react extremely quickly to crises or changes, and may have played a part in New Zealand’s ability to act as a “social laboratory” in the 19th and 20th centuries. However, this freedom has also been criticised when things have seemed to move too fast. Archetypical of this were the controversial economic reforms of the 1980s and 1990s, where New Zealand went from “what had probably been the most protected, regulated and state-dominated system of any capitalist democracy to an extreme position at the open, competitive, free-market end of the spectrum“. These reforms, and the ‘elected dictatorships’ which pursued them remain contentious. Debate continues to rage over whether these transformations ruined New Zealand, or if their rapidity was all that saved the country from ruin. Given these unique, easily revoked constitutional and civil rights frameworks, a puzzling question becomes obvious: How is it that despite such a system, New Zealand leads the world in all five categories that The Social Progressive Imperative has used to measure personal freedoms? How is it that despite very having weak laws to protect citizens’ rights from government and business, New Zealand protects them best? After all, the Social Progress Imperative ranked New Zealand first in all measures of political rights, freedom of speech, freedom of association and assembly, freedom of movement and private property rights. New Zealand seems to exemplify an axiom that may be confusing to citizens of more litigious societies: “The greatest freedom does not come from being able to defend yourself by any means necessary, but from not having to defend yourself”. New Zealand protects its citizens in a less concrete, but ultimately more robust manner than many other states – by preventing the situation which would allow such abuses to occur. It lacks strong laws to protect its citizens, in large part, because such laws have never been deemed necessary. Instead, New Zealanders’ rights are protected by very powerful normative forces; society-spanning ideas that such rights should be protected. When combined with the world’s lowest levels of corruption, such ideas can have real force. In this way, New Zealand’s social and political liberties are defended, not by legal means (which may be open to abuse, misinterpretation or intransigence by a corrupt elite), but by a society in which principles are applied ad hoc with the goal of maximising measurable wellbeing, rather than pursuing abstract rights. In his book Fairness and Freedom: A History of Two Open Societies, David Hackett Fischer explores the different attitudes of two post-colonial Western democracies – New Zealand and the United States. He concludes that just as the United States is focused on ‘freedom’ as national goal, so is New Zealand focused on fairness. Beyond being a trite commentary on national characters, this fact demonstrates a fundamental difference about the way that these societies approach social and other issues. By focusing on freedom, American society is more interested in principles. In contrast, by focusing on fairness, New Zealand society is concerned with the outcomes or the context of any decision. In this way, New Zealanders are perfectly happy in passing laws which violate their Bill of Rights Act, so long as they provide measurable societal benefit. The sole check is the Attorney General (an appointed government MP) who has to identify any breaches, and ask the government to justify them. I can almost hear the libertarians wailing, “it’s a slippery slope: if you let the government pass laws ignoring your Bill of Rights, soon they’ll come for your homes or your children or your lives”. The reality, of course, is far from this scary. A key example of such laws is that allowing random police checkpoints to check for drink drivers: technically detainment without due cause. The fact is though that it has helped New Zealand halve its road toll in the last 30 years – more than worth the 5 minute inconvenience for most people. The principle here is that reasonable laws, passed in good faith with the public benefit in mind may be both a social good, as well as inconsistent with the Bill of Rights Act. The ability to treat laws as tools for social good, rather than as hallowed instruments is one of the many things that mark New Zealand’s focus on fairness in contrast to the United States’ focus on freedom. To some extent, New Zealand’s uniqueness is also influenced by the customs of the indigenous Maori people, particularly hui. Hui literally means ‘to congregate’ in Te Reo, and it has come to refer to a particular type of political meeting, where stakeholders are brought together to discuss issues of importance. An example is the nascent Maori Party, which regularly schedules hui (meetings) with its constituents – especially on important or controversial issues. In a key example, following the party’s first election, 19 hui were held over four days by the party’s then four Members of Parliament to consult on post-election coalition options. A distinguishing feature of hui is that decisions are typically reached through consensus – everyone needs to agree that the outcome is acceptable. The Maori Party constitution allows for majority rule at hui only when consensus is impossible. This creates a community built on empathy, where opposition views are accepted if their merits prove overwhelming. Despite its distinct lack of legal protection for rights, governmental checks and balances, or even constitution New Zealand leads the world in the provision of personal rights and freedoms in in a way which may puzzle some commentators. This world leading position is the result of a unique approach to rights, based on outcomes rather than explicit protection in statutes. *Peter is a regular writer for Alochonaa. He holds a First Class Masters Degree in political studies from the University of Auckland. His research has been focused on the relationship between electoral systems, party systems and underlying social structures. He has also taught media-politics at the University of Auckland, and lectured on the potential for the internet and new-media to undermine democratic discourse and institutions. In his spare time Peter is a keen mountaineer and rock climber. 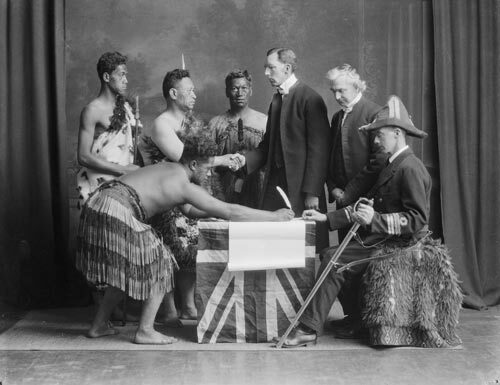 * The Statute of Westminster, declared in 1931, gave New Zealand legislative independence from the British Parliament at Westminster – effectively granting New Zealand full sovereignty. However this independence was not accepted in New Zealand for another 16 years making it the last British Dominion to accept independence.The National Party fiercely opposed such independence as it felt that it would amount to ‘disloyalty’ to Britain. 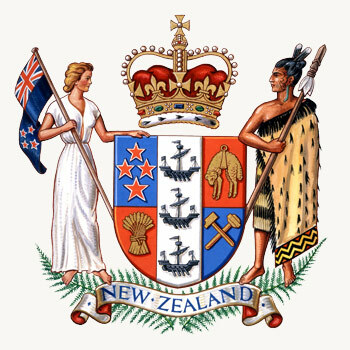 Even when it was adopted, New Zealand’s independence was halfhearted: it retained the ability to use the British Privy Council as New Zealand’s supreme court until 2003, empowered Britain to legislate on the New Zealand Constitution until 1987, and continues to retain Elizabeth II as the Queen of New Zealand.